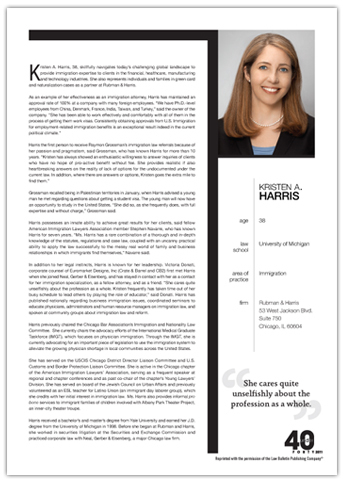 In 2011, Kristen was selected as among the top “40 Under Forty” attorneys to watch by the Law Bulletin Publishing Co. from among a field of 1,200 attorney nominees. She was the sole immigration attorney selected for the peer-nominated award. For the full 40 Under Forty profile, click here.